I am finishing up my first week, and am feeling great! 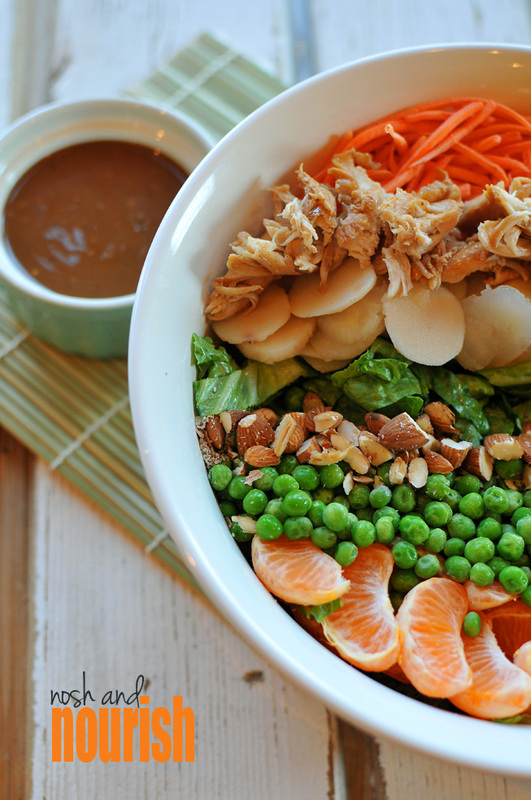 Especially when I get to refuel after a long workout with yummy nourishing food like this Asian Layered Salad. 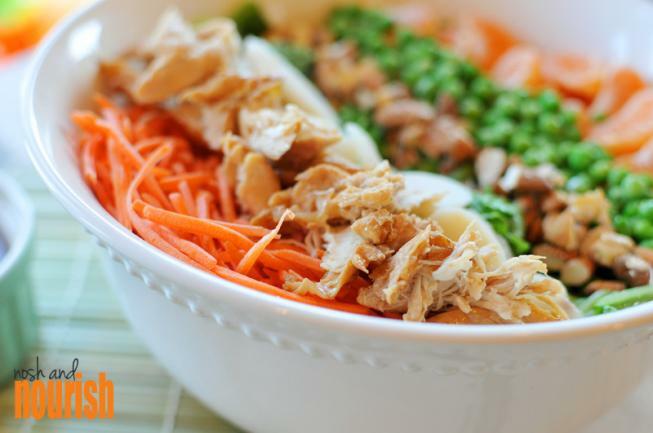 Shredded carrots, chicken, water chestnuts, almonds, peas, and mandarin oranges provide a variety of nutrients, colors, and textures in this salad. Truly a "dinner" salad, it is both hearty and completely nourishing. Dear Hubby, though skeptical at first of receiving "only salad" for dinner, loved the combination of flavors and ate a giant bowl of it...without having to raid the snack cabinet an hour later. Each day is a different DVD and a different focus. I like the variety. I like the challenge. And I like that there's one full rest day each week. There's even one "Cardio Recovery" DVD that is tons of stretching, strengthening, and yoga. I really had no idea that yoga could be so intense!! My legs were doing lots of shaking as I struggled to keep each pose, but I could feel myself getting stronger and more balanced by the minute. 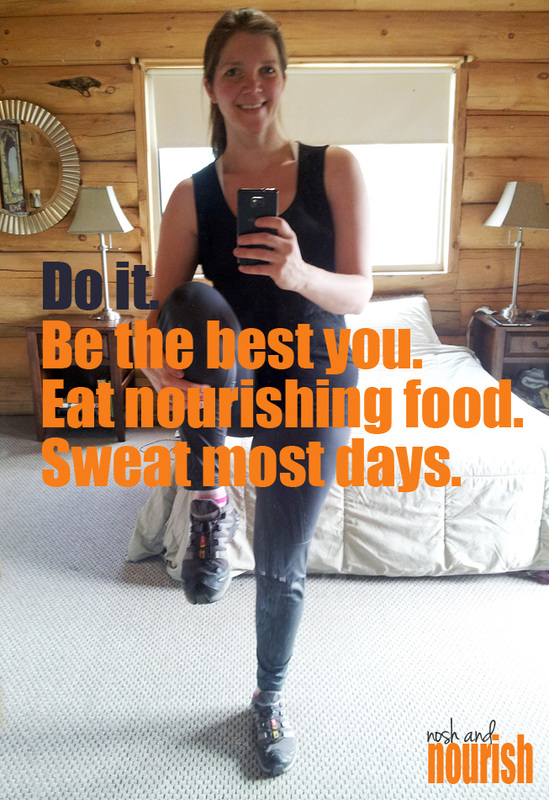 I'm hoping Dear Hubby will start joining me on those days...as I think this type of exercise would really benefit him! Have you ever done a set 3 month workout program before? What did you think? Was it hard to stay committed? Do you ever serve "salad" as the main dinner meal at your house? Cut the lettuce into thin strips, and lay it in a medium salad bowl. Cook the chicken on the stovetop with a bit of the sesame dressing, or some sesame oil. Layer all the ingredients into strips on top of the lettuce. Serve into individual bowls so that each person gets some of each topping. Drizzle on the Asian Sesame dressing.